“Saturday was the day to walk down to town and wander round the main shops, Woolworth, Marks and Spencer, British Homes Stores were the main ones for us. Through Leak & Thorpes, across to Boots. 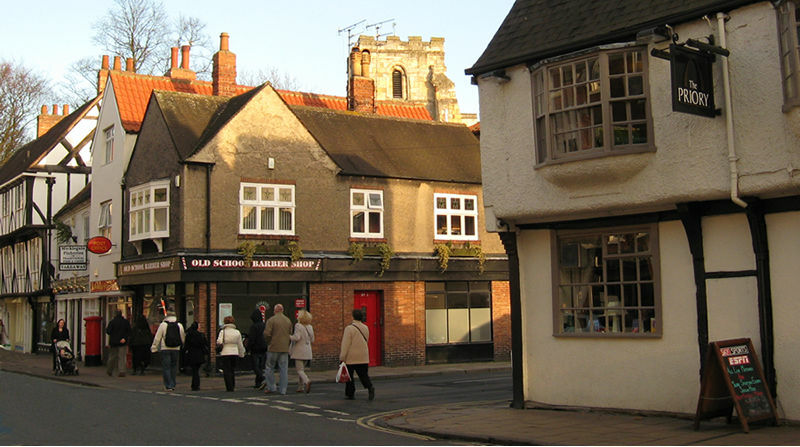 We didnt buy anything, our Saturday penny or two was spent usually in Mr. Peckitts shop in Micklegate, agonizing over Spanish or aniseed balls, or dolly mixture. 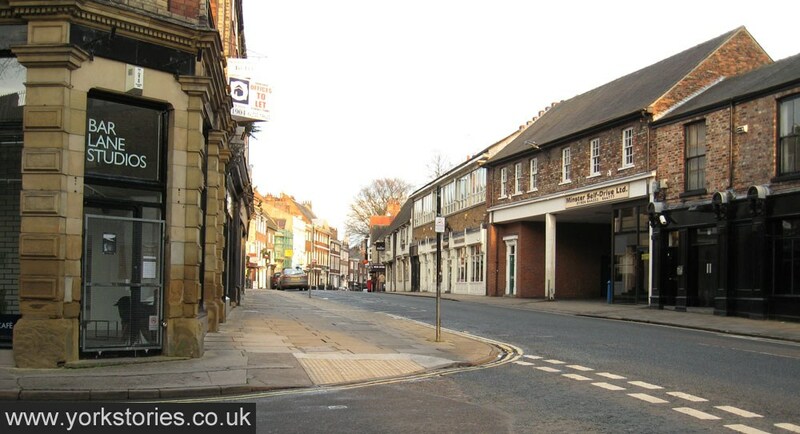 Micklegate was a street of long established businesses, Whitby Olivers the furnishing store, Mr. Ruddock, the tailor, on Priory St. corner opposite the Buckles bakery shop. Mr. Peckitt at the little sweetshop which was next to a garage which isn’t there I think now. I loved Wards pot shop on the corner opposite the pub next to the bar. I still have an old teapot that came from one of his bins. I went up there for odd cups and saucers with mum. There was Raimes a bit further along, a chemists Warehouse I think. One of my mothers sisters lived on Micklegate hill over what was called Micklegate Coal Supply. 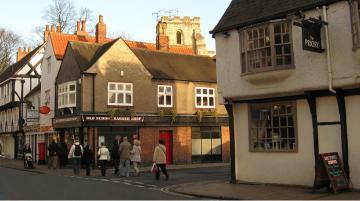 Micklegate was a busy street, always pedestrians. I wonder if anyone remembers the Misses Campbell, two ladies who had a very old toy shop, all jumbled up things. Next to Ron Buckles bakers shop on the Priory St. corner. Mr. Peckitt in his little sweetshop, standing in his doorway. Mr Ruddock on the Priory St. corner standing outside his tailors shop. Penningtons fruit and vegetable shop on Micklegate Hill, they had quite a family and I went to school with Joan. 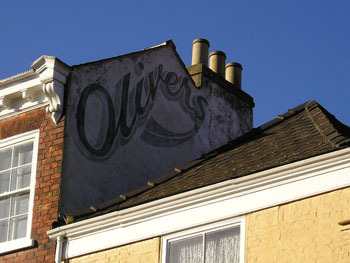 I loved to look in Whitby Oliver with its lovely furniture too. In later years I furnished Town House Hotel via them. In Railway street was a newspaper shop opposite the big Co-op. They too sold toys at Christmas. My mum took me down to choose a doll to be sent to Father Christmas, I wanted a big one but knew my mum couldn’t afford it, so chose a size smaller. I expect mum took her weekly payment in for that and other toys for Santa to bring. She appeared on Christmas morning, in an outfit sewn by hand by my mum. I called her June. She survived very well with her pot head. 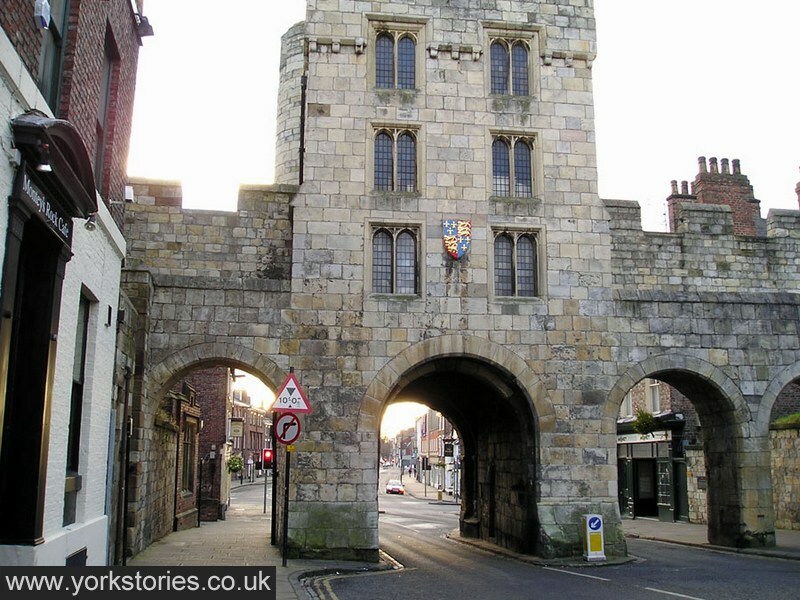 Audrey’s memories of Blossom Street, the Forsselius garages on Blossom Street and Kitch’s garage at Clifton, and her memories of York during the Second World War. 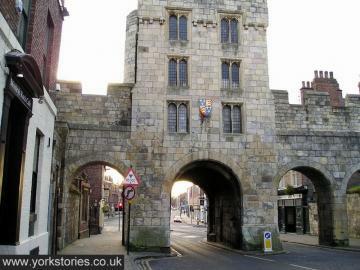 Hi Drake – I’ve more to add of Audrey’s memories of York, which I hope to add to the site later this week. Hi, Aunty Audrey Never knew about my grandparents life in York. Amazing to read about their lives. I have a photo of granddad Kitch outside his garage. Hi Jane, I’ve emailed you about passing on this message to Audrey in case she doesn’t see it. Would love to see the photo you mention. I am one of the Ruddock Family related to the Ruddocks mentioned is the document above, therefore any further information be much appreciated.